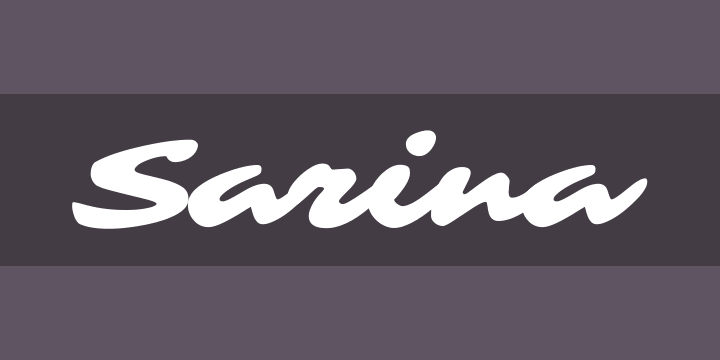 Copyright (c) 2011, Sorkin Type Co (www.sorkintype.com eben@eyebytes.com) with Reserved Font Name \“Sarina\”. Sarina is a display typeface with brush style letterforms. Sarina’s medium contrast and wide setting offers a casual breezy feeling. Sarina is appropriate for medium to larger sizes.